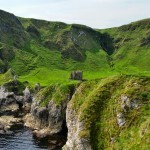 Places to See | Co. Tyrone, Northern Ireland. Blink and you would miss this visitor attraction in County Tyrone. 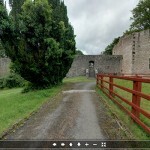 Castle Caulfield is a large ruined house situated in Castlecaulfield, County Tyrone, Northern Ireland. 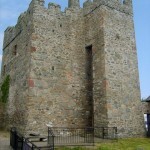 There are substantial remains of this large house, built by Sir Toby Caulfield between 1611 and 1619 on the site of an earlier O’Donnelly Castle. 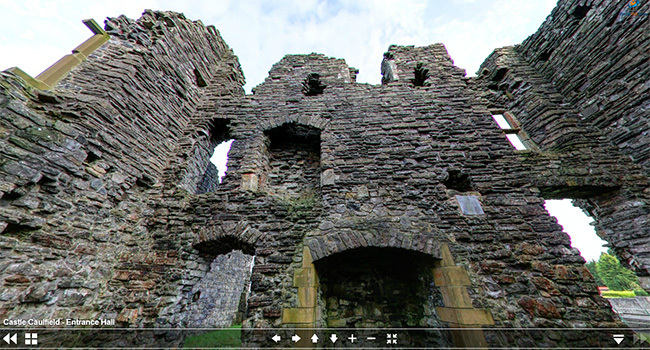 The oldest part of the existing building is the gatehouse, which has Tudor-style doorways, murder-holes and gun-loops. The Caulfield arms appear over the entrance. The building was three storeys high with attics, many large mullioned windows and tall chimney stacks. 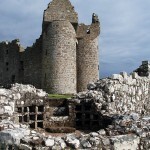 The house had cellars, a small court, and a medieval style gate lodge for defensive purposes. 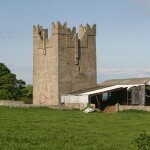 It was burned in the Irish Rebellion of 1641 but was repaired and reoccupied by the Caulfields until the 1660s.